The jury in the racketeering trial of mob boss Joseph "Uncle Joe" Ligambi and six co-defendants had to start over Wednesday when an alternate juror was designated to replace a panelist who had fallen ill. The developments Wednesday set up the real possiblity that deliberations, which began on Jan. 8, could extend well into next week. A second development that also had observers buzzing was a note sent out late Wednesday morning by the jury foreman announcing that he wanted to step down. The foreman, a middle-aged Asian-American man, had been coordinating deliberations since they began last week. He will remain on the panel, but will no longer be its leader. What that meant also sparked rampant speculation among lawyers and friends and family members of the defendants who have gathered each day in the 15th floor hallway outside the courtroom to wait and monitor developments. The positive spin from the defense was that the foreman was "pro government" and had decided to step down because of friction in the deliberation room. That, like everything else that has been said in the hallway thus far, is based on conjecture and speculation. The juror who was replaced was a sixty-something African-American woman who apparently had contracted the flu. She called in sick Tuesday and Wednesday morning sent a message saying she was going to the hospital. Defense and prosecution attorneys discussed the situation with Judge Eduardo C. Robreno, who ultimately decided to excuse the woman and replace her with one of four alternate jurors who have been on stand-by since deliberations began. The replacement juror is a middle-aged white woman from the suburbs whose husband is a police officer, according to a member of the defense camp. The jurors have remained anonymous under a court order imposed by Robreno prior to the start of the jury selection process. Only bits and pieces about their backgrounds have been made public. 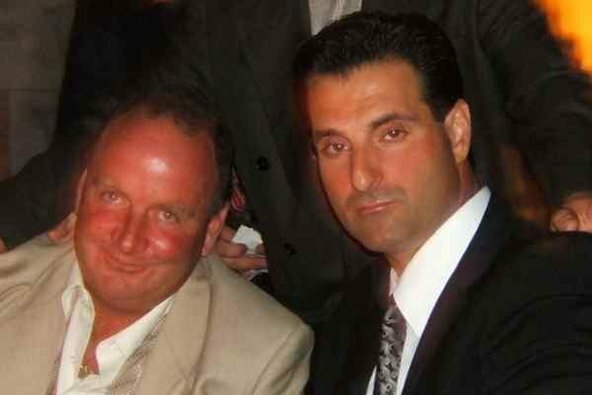 Ligambi and his co-defendants are charged with racketeering conspiracy in a case built around allegations of gambing, extortion and loansharking. Trial evidence included dozens of secretly recorded conversations from wiretaps and body-wires worn by cooperating witness. The jury also heard testimony from several former mob associates who became cooperating witnesses, but their testimony and credibility was challenged repeatedly by the defense. The exhibits requested by the jury -- estimated to be more than 300 pieces of evidence -- include surveillance photos and documents gathered by the FBI and Pennsylvania State Police during an investigation that began in 1999 and concluded when Ligambi and the others were indicted in May 2011.